can turn the tide on Ageism. BE BOLD, CLAIM OLD is a national campaign to raise awareness around pervasive ageism in our society. It's a powerful call to action for each person to embrace and celebrate every age, not just the gold standard of "youth." 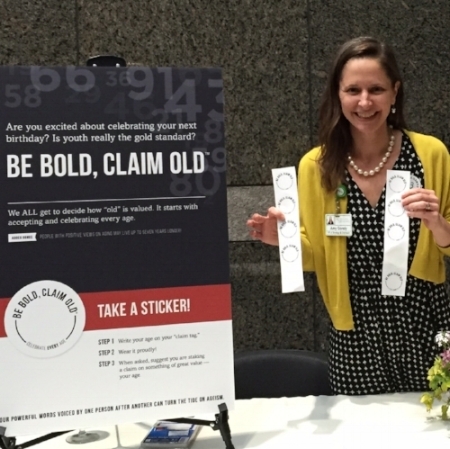 BE BOLD, CLAIM OLD was developed by Amy Gorely, a passionate advocate in the anti-ageism and age positive movement. She wants to live in a culture where old is as valued, significant, and meaningful as young. Amy has created a tool kit you can use to foster conversations and develop projects around aging and ageism within your own community. She also leads interactive and engaging presentations and workshops encouraging each person to explore their own views of aging. She invites you to be bold, claim old. The movement was launched by a thought provoking two-minute TED-style talk. Curious? Watch Amy's talk now. 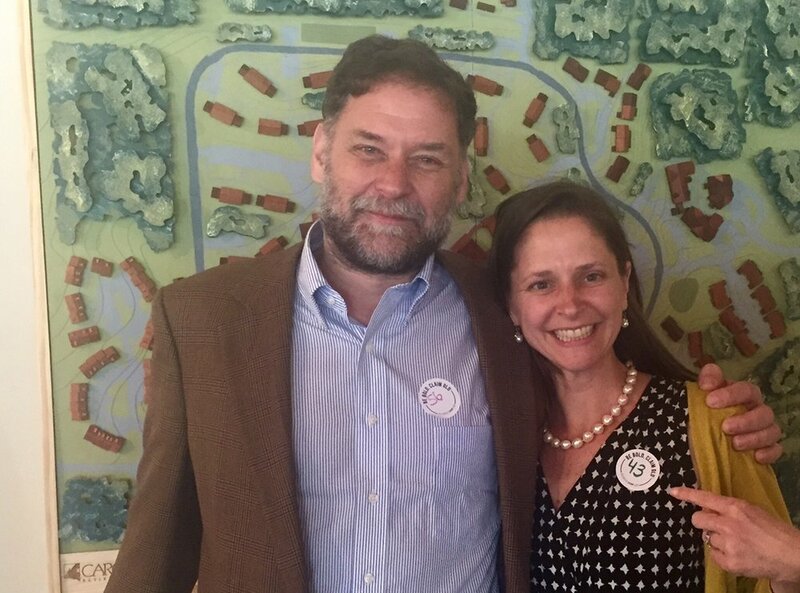 Be Bold, Claim Old was part of Dr. Bill Thomas' ChangingAging tour in NC. Amy wrote a blog post for changingaging.com and was a guest speaker on the Age of Disruption tour webinar. Find out what others are doing to embrace and celebrate every age. Ready to initiate BE BOLD, CLAIM OLD in your community? Here are simple steps you can take today.